Why Is This Little Boy So Happy? Little Eid was just given a gift: the ability to walk again. And he’ll make you stop and appreciate everything you’ve been given as well. 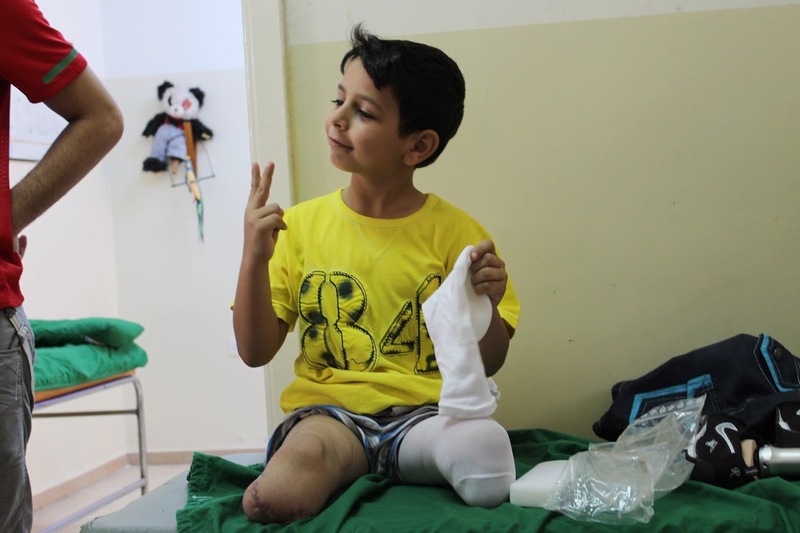 8-year-old Eid is from Syria, and thanks to donors all over the world, the Palestinian’s Children Relief Fund Jordan Chapter, and Mr. Charl Stenfer, an orthotics specialist in Dubai, he is now the proud new owner of two new artificial legs. Eid lost his legs in a bombing earlier this year in Syria, in which his mother also lost her life and his sister lost a leg. Despite the tremendous tragedies he has undergone, the smile on his face as he hugs his new leg is one of pure joy, thankfulness and appreciation. That’s enough to make us all take a step back and think. What are you thankful for? خمسة أمور لابد من القيام بها في عمان!